According to the latest survey of online higher education by the Sloan Consortium, about 33.5% of college students now take at least one course online. This is the highest percentage yet. With the best online colleges increasingly offering more options to distance students, online education continues to show tremendous growth. Get information on Medical Terminology programs by entering your zip code and request enrollment information. 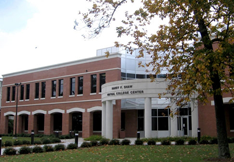 Located in Albany, GA, Albany State University offers an online medical coding program that requires a 2.5 GPA in order to gain admission. While in the program, students must earn a “C” grade or better in all of the HITE classes. Completion of reading or English learning support areas must also be completed before gaining admission to the coding program. A medical terminology course and anatomy and physiology course must also be completed before starting any coding classes. 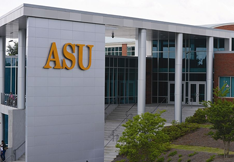 Earning a certificate from Albany State requires the completion of 22 credit hours within the coding curriculum and does not apply to prerequisite courses. The Medical Coding Specialist program at ATCC awards a diploma to those who finish the 45 assigned credits. An Intro to Computers class or equivalent experience is required to begin this program. ATCC’s Medical Coding Specialist program has also recognized by the National Healthcareer Association (NHA). Completing the program allows graduates to take the NHA certification exam. The ATCC Foundation awards more than $400,000 in scholarships every year to qualified students. 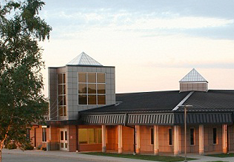 ATCC was founded in 1961 and became the first Minnesota school to be accredited by the Higher Learning Commission. The medical billing and coding program teaches all the specifics of ICD-10 code, in addition to any updates to the coding system. 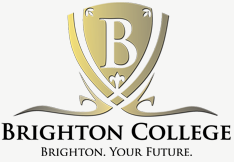 Brighton has a partnership with the National Healthcare Association (NHA), which provides graduates with as a free voucher to take the Billing & amp; Coding Specialist (CBCS) certification exam. Part of the curriculum is also designed to help students with job placement as staff members actually help students begin their search for employment. A career exploration course is offered to help students get off to a successful start as a medical biller or coder. 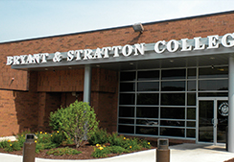 At Bryant & Stratton College, a Medical Reimbursement and Coding Associate Degree can be earned upon the completion of 60 credits. The program features a new blended learning format. Online students follow the same program as students who attend the actual Bryant & Stratton campuses that are spread out through four different states. The curriculum is based on industry standards that have been established by the American Health Information Management Association (AHIMA) and the American Academy of Professional Coders (AAPC). Graduating students will also qualify to take certification exams issued by those respective organizations. Charter Oak offers a certificate in Medical Coding that requires students to complete 21 credits. Students must also earn at least a “C” grade in those courses. The program has been designed to equip students with a strong foundation in medical science that will prepare them to take national certifications offered by the AHIMA and the AAPC. 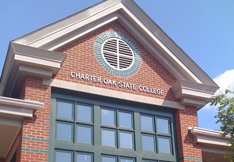 Charter Oak has been accredited by the New England Association of Schools and Colleges as well as the Connecticut Board of Governors for Higher Education. Once enrolled, students receive an admissions advisor who will help them throughout their entire academic journey. 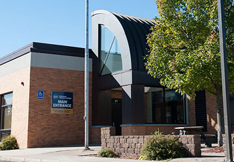 MSUB offers a certificate of Applied Science in Medical Coding and Insurance Billing. In terms of tuition, this program is one of the cheapest offered at MSUB. Online tutoring services are also available to medical coding students as they also have access to the school’s Advising and Career Services. In 2016, MSUB’s allied health and health administration graduates achieved 100% job placement after completing their respective programs. 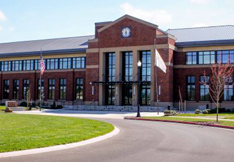 MSUB is also a member of numerous professional organizations, including the American Association for Employment in Education and the National Career Development Association. Students at Cowley College have the option of pursuing a Medical Coding Certificate or earning an Associate Degree of Applied Science in Medical Coding. The certificate option consists of 35 credits and the Associate’s Degree option requires the completion of 65 credits. Since admissions are open, students do not have a specific start time. Medical coding courses are scheduled sequentially each semester. 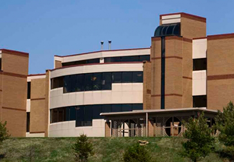 New students must first apply and be accepted to the medical coding program at Cowley College. A limited amount of scholarships are also available to medical coding students each year. A certificate in medical coding is offered to online students who meet CUNY’s admissions requirements. Those requirements consist of a minimum 480 score on the SAT verbal, or a 20 on the ACT English portion. Before beginning the program, students are required to earn a “C’ grade or higher in a college level English course. Online information sessions are available to prospective students over the course of the year. The curriculum consist of 36 credits which consist of 12 individual courses. 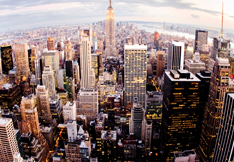 CUNY is also affordable as 80% of students are free of debt when they graduate. DSU offers a Health Care Coding Certificate that will prepare students to become an AHIMA certified coding associate. The credits earned in this program can also be used towards a DSU Associate’s Degree in Health Information Technology or a Bachelor’s Degree in Health Information Administration. Part of the Health Care Coding program includes supervised professional practice. This is essentially an internship, which takes place at a nearby healthcare facility. 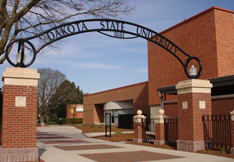 DSU also offers six-week summer courses which are available during two separate summer sessions. The actual DSU campus was built in 1881, although online coding students study the same curriculum as students who take classes on campus. Daymar is home to a Billing and Coding Specialist Diploma Program, which takes 12 months to complete when students are enrolled on a full-time basis. There is also the option of enrolling in Daymar’s Billing and Coding Specialist Associate of Science Degree Program. This is intended to take 18 months to complete and goes more in depth in subject areas such as ICD and HCPCS coding, and claims preparation. Daymar students who complete these programs can also earn a Bachelor’s Degree in Health Care Administration, which is also offered online. The Philadelphia-based university has an esteemed academic reputation and offers an Accredited Certificate in Medical Billing and Coding program that is only available online. There are six courses included in this program and it typically takes less than a year to complete. Once a certificate is earned, graduates will qualify to take the billing and coding exams offered by the American Medical Billing Association, AAPC and the AHIMA. 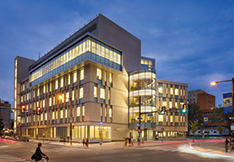 Classes are taught by instructors from Drexel’s College of Nursing and Health Professions, which is considered one of the country’s elite medical billing and coding educational institutions. A variety of certificates are offered by Fayetteville Tech, some of which are awarded after just two semesters. A Medical Office Administration Certificate, Inpatient Medical Coding Specialist Certificate, and Medical Coding and Billing Certificate can all be attained after two full-time semesters. A Medical Coding Specialist Certificate requires three semesters while an Associate’s Degree of Applied Science in Medical Office Administration is also available. All of these programs feature courses on medical billing and coding. Students are expected to begin these respective programs in the fall semester unless they receive approval from the Department chairperson to start at another date. 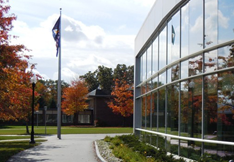 A Medical Coding Certificate program at Fisher College requires the completion of 37 credits. 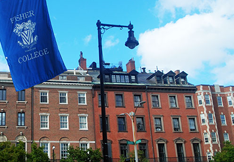 This can be done rather quickly since Fisher College offers its online classes off in eight-week terms. There are six of those terms offered throughout the calendar year. Online students can purchase all the necessary books for their classes through Fisher’s virtual bookstore. There are also numerous downloads to help students adjust to an online education. 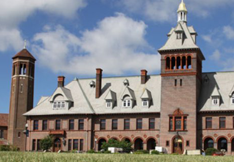 Fisher College was funded in 1903 and for the 2016-17 year, it was recognized as one of the nation’s Colleges of Distinction. 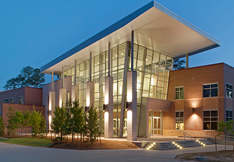 FAMU’s School of Allied Health Sciences features and online Medical Coding Certificate Program. This program is very structured as it consists of nine courses, which are self-paced. There are three modules in this program, each of which consists of three courses. Each module is expected to be completed in 15 weeks or less. Each module builds off the previous one as they are structured to provide students with a strong foundation in medical coding. Students will also need to complete a Human Anatomy and Physiology course, which can be taken as a co-requisite with the first module. Great Falls MSU offers a Health Information Coding Specialist Certificate program that is specifically available online. This coding program has been accredited through the American Health Information Management Association (AHIMA) and has also been approved by the Assembly on Education. Graduates of this program are awarded an Associate’s Degree of Applied Science in Health Information Coding. 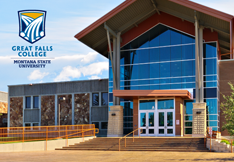 Online learning at Great Falls MSU is helped through the use of a digital learning eGuide while training sessions and online support in real time are also offered. Herkimer combines its medical coding program with medical transcription. Completion of this online program results in the awarding of Medical Coding – Transcriptionist Certificate. The program consists of 30 credits and prepares students for a future in either medical coding or medical transcription. Students typically complete this program in less than a year as it takes just two full-time semesters. Online students at Herkimer have the same access to resources as on-campus students, which include tutoring, advising, technical support and library services. Herkimer’s Internet Academy has been accredited by the Middle States Association of Colleges and Schools Commission on Higher Education. Herzing provides two options for those interested in a career in medical billing and coding. The first option is a diploma in Insurance Billing and Coding Specialist (DIBCS), which requires 43 credits. Most online students take a four-credit research option to finish the program, as opposed to a four-credit internship. 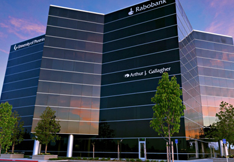 There is also the option of obtaining an Associate of Applied Science in Insurance Billing and Coding Specialist (AASIBCS). This option takes a little longer as it requires the completion of at least 61 credits. 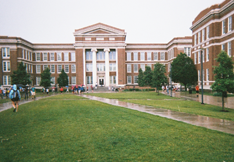 Herzing has campuses in many different states throughout the country. 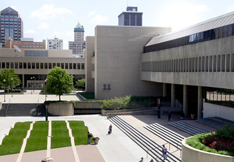 The IUPUI School of Informatics and Computing offers students an online Medical Coding Certificate. Each curriculum starts in the fall and students are permitted to take classes on a full or part-time basis. There are 12 prerequisite credits which provide a foundation for anatomy and physiology, as well computer concepts and medical terminology. The entire program requires the completion of 40 credits when counting those four prerequisite classes. A Medical Coding Certificate academic advisor consults with new students before starting the program. There is also 24-hour technical support offered to online students. 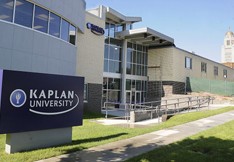 One of the more recognized online universities in the U.S., Kaplan offers a Medical Billing and Coding Certificate Program. There are 44 credits that need to be completed in this program and also a 40-hour practicum experience. Upon completion of the program, graduates will be able to test for several certifications. Online start dates are very flexible and are available mostly on a monthly basis. 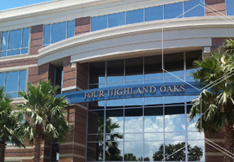 Kaplan’s School of Health Sciences features an accomplished faculty with years of experience. Kaplan also offers many financial solutions, which includes aid, grants, scholarships and military reductions. 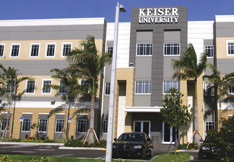 Keiser University features a comprehensive program that results in the awarding of an Associate of Science degree in Medical Administrative Billing and Coding. There are 60 credit hours that need to be completed in this program and students must earn at a “C” grade or better in all of those classes. 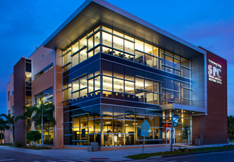 Keiser’s actual campuses are located throughout the state of Florida, although online students do not need to attend any campus classes or events. A 15-month Coding Certificate is available through Lone Star College. An online application for the coding program can be submitted between March 1st and May 1st. The program has received approval from the AHIMA Foundation’s Professional Certificate Approval Program (PCAP). The PCAP is entrusted with reviewing and approving educational coding programs which have undergone peer reviews and have been measured against the standards for entry-level coders. The Lone Star Coding Certificate program requires the completion of 36 credits and features a very low cost of tuition for full-time students. The Medical Coding Certificate Program at Mercy College consists of 26 credits and generally takes three semesters to complete, which includes an abbreviated course load in a summer semester. Students who complete this program also have the option of using their credits towards a more advanced Mercy College degree. There are online information sessions available for students interested in earning a Medical Coding Certificate from Mercy College. Recent graduates from the Coding Certificate program have experienced 100% job placement. Many Mercy College students also qualify for financial aid packages. There is a Medical Coding Certificate offered online by Mount Aloysius College and that requires the completion of 21 credits. These credits can also be used towards the college’s Medical Assistant/Professional Coder Specializations Associate’s Degree. The Medical Coding Certificate prepares graduates to work with ICD-10 and Current Procedural Terminology (CPT). It will also qualify them to sit for a national certification exam. 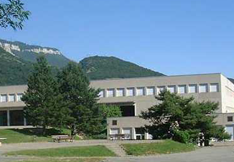 Mount Aloysius College is located in Cresson, Pennsylvania, although online classes are available to anyone regardless of location. The Medical Coding Specialist program at NCTC allows students to earn their Associate’s Degree of Applied Science completely online. The Associate’s Degree program requires the completion of 60 credits and is typically broken down into two spring semesters and two fall semesters. Graduates of this program are qualified to take any of the national coding certifications. The NCTC distance learning program features an extensive amount of resources to give online students a complete educational experience. 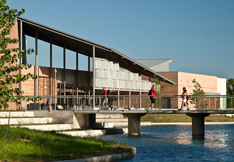 Accreditation has been granted to NCTC by the Higher Learning Commission of the North Central Association of Colleges and Schools. At Northwest Technical College, there are three options for those looking to embark on a career in medical billing and coding. Students can earn an online Medical Coding Certificate by completing 26 credits. There is also the option of earning a Medical Coding Diploma, which requires the completion of 42 credits. An Associate Degree of Applied Science in Medial Coding is the final option, which is a 60-credit program. 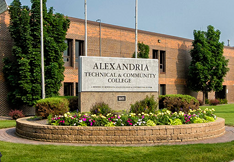 Tuition for any of these programs features the in-state rate, even if students live outside the state of Minnesota, which is where NTC is based. 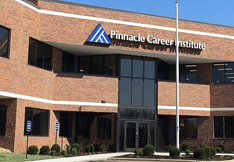 The medical billing and coding programs offered at Pinnacle Career Institute have been ranked Number one and two by BestColleges.com. PCI offers certifications offered in in Medical Insurance Billing and Coding, which can be completed in about a year and sometimes even less. PCI offers Career Services support to all students and the school has received accreditation from the Accrediting Council for Independent Colleges and Schools. Tuition is all-inclusive, which means that the cost of textbooks is included. Once students are enrolled, they are guaranteed that their tuition will not be increased. A certificate in Medical Coding is available to online PTC students. Those credits are also transferable when students decide to pursue a PTC Associate of Science Degree in Medical Office Administration, which is also offered online. Healthcare professionals on PTC”s advisory board continue to maintain the medical coding program so that it stays current with industry standards. A PTC Medical Coding certificate prepares students to test for a number of certifications offered by the American Academy of Professional Coders. When students successfully pass one of those exams on their first or second attempt, PTC will reimburse them for the cost of the exam. Earning a Medical Coding Certificate from Presentation College takes one school year and features a course load of 38 total credits. Students in this program must maintain a 2.0 GPA. The program is divided into two semesters, one of which offers mainly foundational science classes while the second semester features more program specific classes. Graduating students will be able to take a national coding certification exam, which will further enhance their credentials. Applying to Presentation College is made easy with the help of a virtual admissions staff that facilitates the process for new students. A Medical Billing and Coding Certificate from Rasmussen’s School of Health Sciences can be completed in as little as nine months. That timeline has been designed to teach students coding foundations, and revenue cycle and billing, which will enable them to take the CCA or CCS certification exams offered by the American Health Information Management Association. Rasmussen has received accreditation from the Higher Learning Commission and applicants to the Medical Billing and Coding Certificate program do not need to take an entrance exam or provide any standardized test scores. However, they must pass a criminal background check. 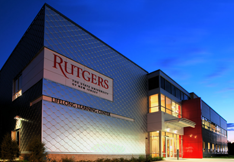 Rutgers is one of the more esteemed universities in the northeast and its online medical coding certificate requires the completion of 21 credits. In order to begin taking classes in this program, students need to have already completed Anatomy and Physiology I and II. After completing all medical coding certificate program requirements, students have the option of continuing towards a Rutgers Bachelor’s Degree in Health Information Management. There are deadlines for fall registration as admissions is not rolling. Financial aid options are only available to matriculated students. 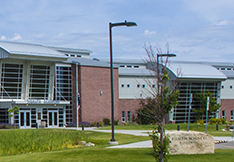 The Medical Biller/Coder program at San Juan College has specific admissions requirements as only a certain number of students are accepted to the program each year. Once accepted, students have two years to complete the online program. Earning a “C” grade or better is required in all courses and students are only permitted to retake classes one time. A total of 30 credits are required to be completed in order to graduate the Medical Biller/Coder program. Students in this certificate program are also eligible for financial aid. 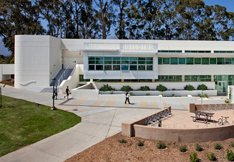 The Medical Coding Specialist Certificate Program at Santa Barbara City College requires the completion of 38 credits. Graduates of this program qualify to take the Certified Coding Associate (CCA) examination which is offered by the AHIMA. Online orientation is available to new students entering this program and they are also advised on which technical components will be needed for their course work. Academic counseling is available for online students in search of help. The Medical Coding program is part of SBCC’s Health Information Technology and Cancer Information department. 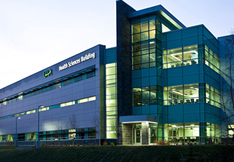 UAA puts students on the fast track towards a career as a medical coder with its Medical Office Coding program. This program concludes with the awarding of an Occupational Endorsement Certificate (OEC) that requires the completion of 17 credits. This curriculum sets up graduates to take the coding certification exams offered by the AAPC and the AHIMA. Entrance to the coding program requires a high school diploma or GED equivalency and the completion of UAA’s Ability to Benefit Process. 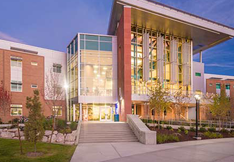 There are also continuing education offered to students who fulfill the requirements of UAA’s Medical Office Coding program. A short-term technical certificate in Medical Coding and Billing is offered through Sinclair College. The Medical Coding and Billing Specialist program requires the completion of 23 credits and prepares students for entry-level positions as medical billers and coders. In order to complete this program, students must score at least a “C” grade or higher in their respective classes. 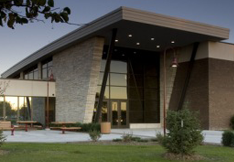 Sinclair also features an academic advising center that offers support to students. Sinclair’s online tuition rates are very low, making it an affordable option for all students. 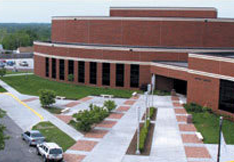 Sinclair College is located in Dayton, Ohio, but is open to online students everywhere. 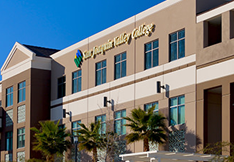 There are two options for students looking to get a medical billing and coding education at San Joaquin Valley College. The shorter option allows students to earn a Medical Billing and Coding Certificate in 9 months. There is also an Associate’s Degree program in Medical Billing and Coding that takes 17 months to complete on a full-time basis. The Associate’s program prepares students to take the CPB (Certified Professional Biller) examination, which is highly revered in the industry. SJVC also has student advisors who regularly check in with online students and online classes typically house anywhere from 8 to 25 students. Among MSC Southeast’s Medical Support Careers, there are two options for those interested in Medical Coding. The first option is to complete 45 credits and earn a Medical Coding Diploma. The second option is to earn an Associate of Applied Science in Medical Coding. The A.A.S. option requires the completion of 15 general education credits that aren’t required in the Medical Coding Diploma program. Both options will allow graduates to sit for a national coding certification exam. Students are permitted to start either program at the beginning of the spring or fall semester. A technical diploma in Medical Coding can be earned online at Southwest Tech. Southwest Tech has established an extensive amount of post-secondary transfer agreements with universities and colleges in the area. Southwest Tech was recently ranked one of the top online schools for medical billing and coding by Bestcolleges.com. Those who complete the Southwest Tech Medical Coding diploma program become eligible to take the AHIMA certification test for coders. Southwest Tech will also consider any previous courses taken as potential transfer credits. Students in the medical coding diploma program are eligible to receive financial aid. The SPC Medical Coding Certificate requires nine prerequisite credits before starting the program. Those courses include Medical Terminology, Computer Applications and Anatomy & Physiology. The program requires the completion of 14 additional courses, which is designed to be done over three terms. SPC has also designed Academic Pathways that organize a path that students can follow on their way to completing their respective programs. 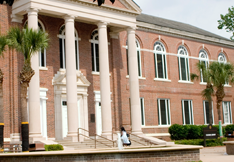 The tuition at SPC is considered to be very affordable and is extremely lower for Florida residents than out-of-state residents. Financial Aid is also available to online medical coding students. Sullivan offers a Medical Coding Diploma Program that allows students to begin working in 12 months after their start date. The program is designed to get students fast tracked into the medical coding profession, although students have the option of how many courses they would like to take during each term. 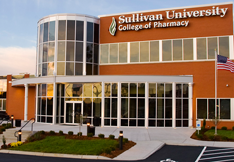 Sullivan University has a separate online division that is aimed at helping online students through the entire educational experience. There is also employment assistance offered to graduates and students have complete access to all campus resources. 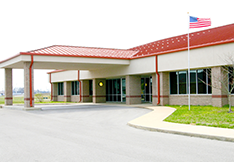 The distance learning Medical Biller/Coder program at UC Clermont is designed to be completed within one year. Admissions are open as students can begin this program during any semester. 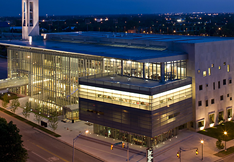 UC Clermont is a branch of the University of Cincinnati and offers a tremendous amount of resources. The actual campus opened up in 1972 and it is now considered to be one of the most affordable colleges in the state of Ohio. Completion of this program will prepare students for national coding certifications and give them the option of furthering their academic career at the University of Cincinnati and any of its branches. 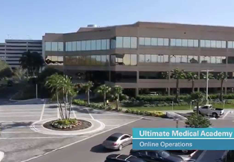 UMA features an online Associate’s Degree in Medical Billing and Coding as well as a Medical Office and Billing Specialist Associate’s Degree. There are several resources to help students through to graduation and that includes Academic Services which provide counseling and tutoring. UMA has also invested in a Career Services team that helps students prepare for the interview process beyond graduation. The sizeable UMA online library continues to expand and its online resources also feature an interactive learning labs. UMA’s Learner Services team also assists students and actually gets to know them personally. 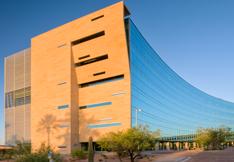 The University of Phoenix helped popularize online learning and continues to be a leader in distance learning. A Medical Records Certificate from the University of Phoenix is geared to students working toward a career in medical billing and coding. This certificate requires the completion of 24 credits, which consists of eight core classes. These classes provide a foundation for further studies in medical billing and coding. Completing this program also qualifies graduates to take the Certified Billing and Coding Specialist (CBCS) exam, which is a national certification issued by the National Healthcareers Association. 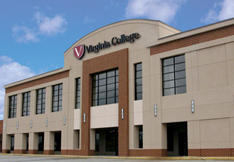 The digital classroom experience at Virginia College provides medical billing and coding students with all the tools they need to enter the profession in less than a year. A diploma can be earned in as little as nine months. However, students can take classes at their own pace as there is no minimum number of courses required per semester. There are also a host of interactive activities for online students, making the experience the same as attending classes at an actual campus. A medical billing and coding diploma from Virginia College can be used to attain a CCA, CBCS, or CPS coding certificate. 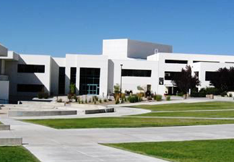 Different online options are available for medical billing and coding students at Vista College. A Medical Insurance Billing and Coding diploma can be attained in about 70 weeks while a an Associate’s Degree of Applied Science in Medical Insurance Billing and Coding takes about 100 weeks to complete. Vista College is committed to enhancing the online educational experience. This includes a Career Services Department, which helps students improve their chances of gaining employment as a medical biller or coder. The online learning program features a virtual classroom and prepares students with a 15-week segment of four courses that are essential for medical billers and coders. A Healthcare Coding Certificate from Weber State requires the completion of 10 courses. The admissions process requires applicants to pass a drug screening and criminal background check before being accepted. Block classes begin approximately every two months, which enables online students to space out their classes according to their desired pace. The expected time frame for completion of the Healthcare Coding program is typically 30 weeks. Several financing and financial aid options are available to online students. Earning a Healthcare Coding Certificate will prepare graduates to sit for the AIHMA’s nationally recognized Certified Coding Associate (CCA) exam. 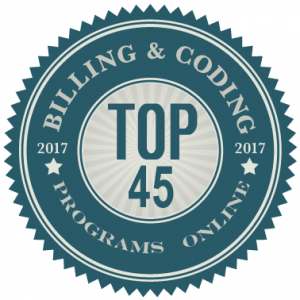 HealthcaresystemcareersEDU.org uses a number of important factors to determine overall rankings for our top 45 online program list. These factors include a combination of cost and financial aid, along with the number of programs offered. 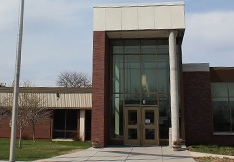 In addition, we consider student-teacher ratios, and employment/career counseling services. Finally, graduation rates were an important aspect when considering what schools to feature.